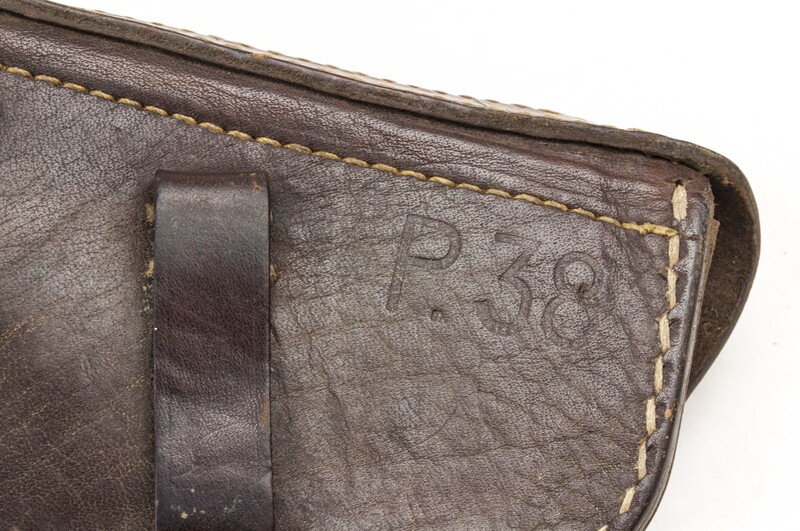 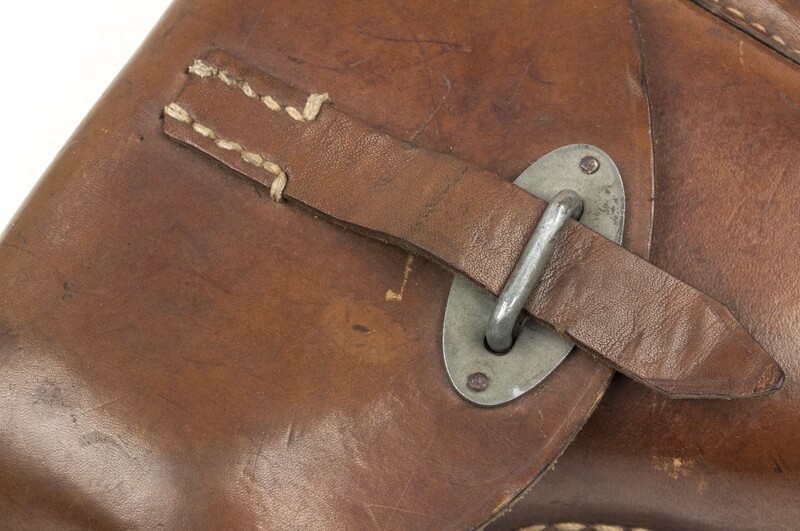 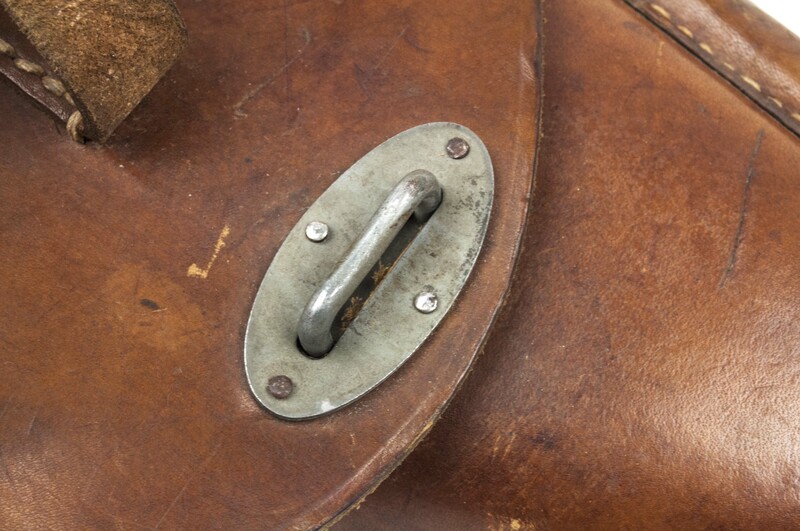 A stunning light brown Hardshell P38 holster in great near mint condition. 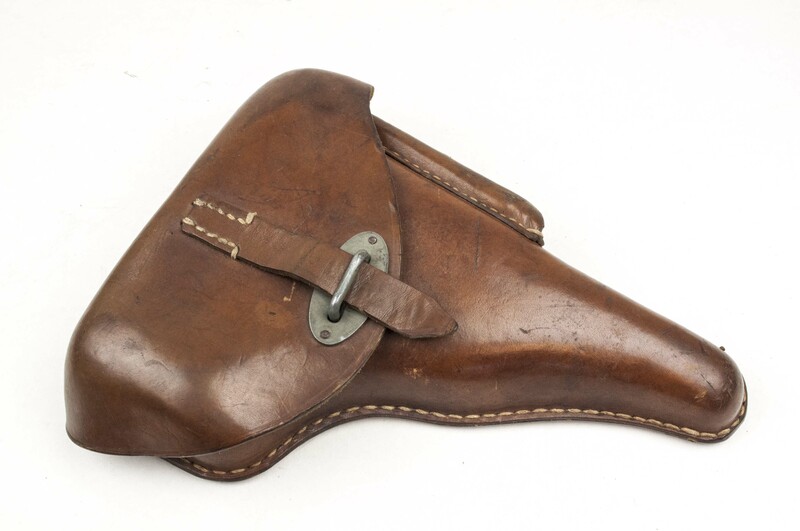 One of the rarest holsters to encounter. 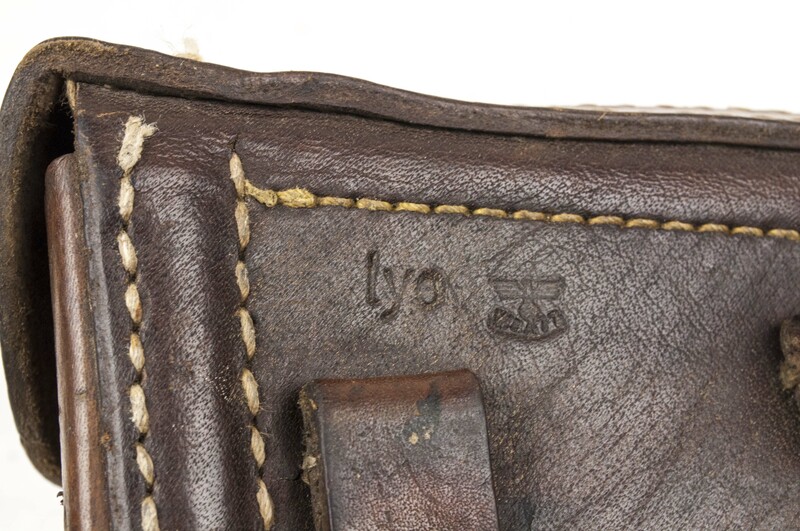 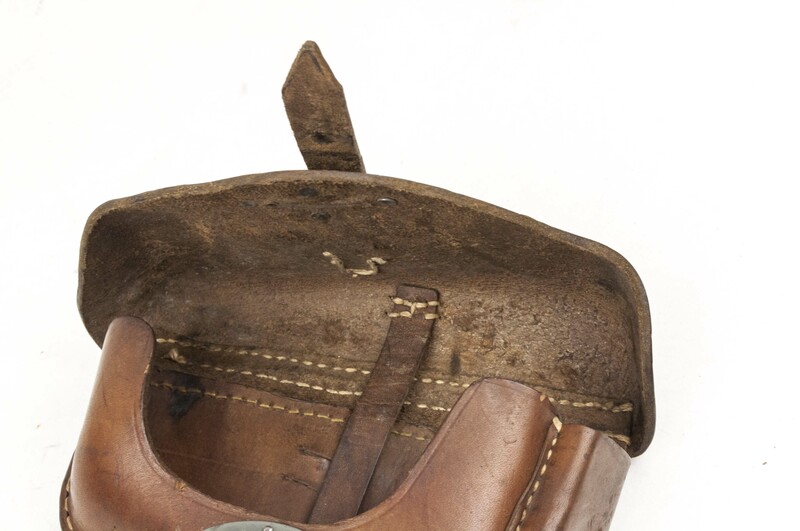 The holster is nicely lyo marked on the back. 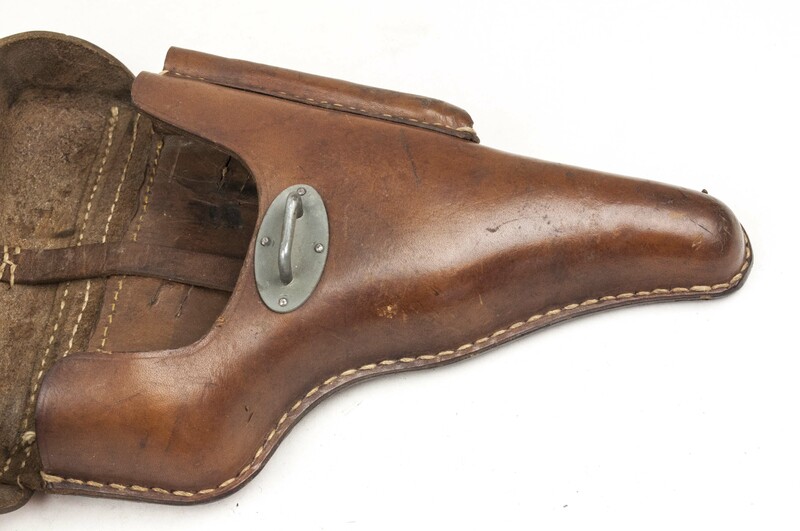 This is a typical late war holster as made by Kromolowski & Sohne Lederwaren fabrik, Radom. 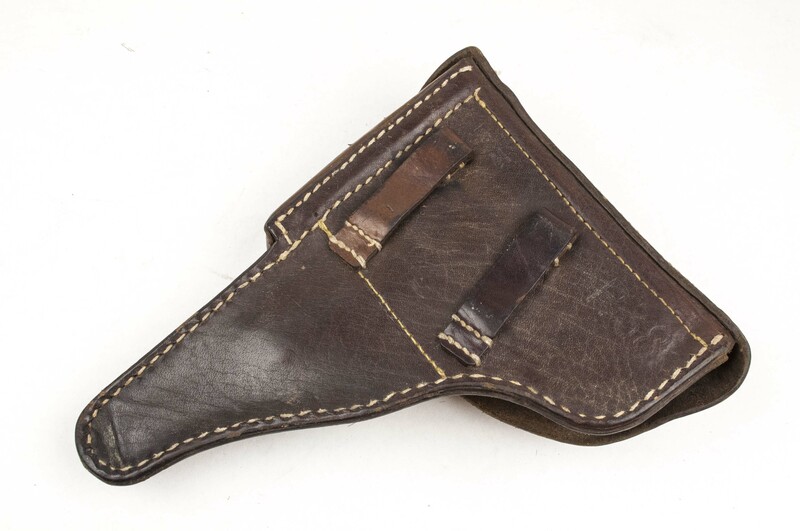 The holster would nicely be paired with a MP40 or tan Presstoff MG42 tool pouch!